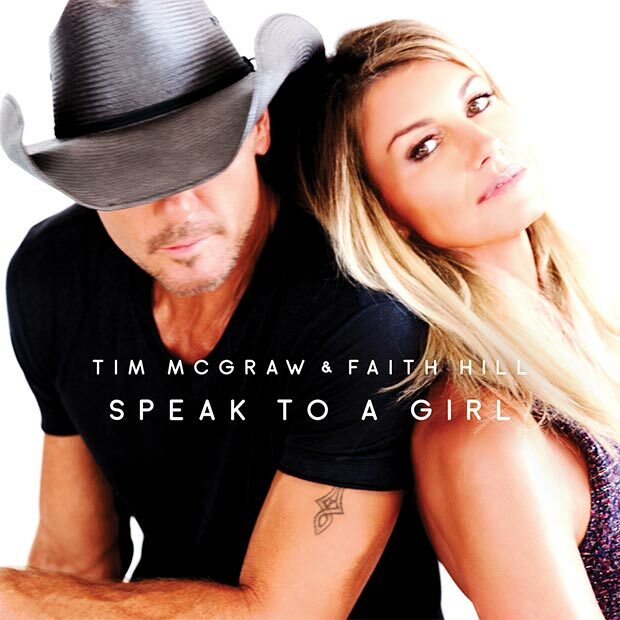 Grammy award-winning superstars Tim McGraw and Faith Hill released their newest collaboration, “Speak to a Girl,” to country radio yesterday. The new single on Arista Nashville is available now to download/stream HERE. As previously announced, Tim and Faith will perform “Speak to a Girl” on the 52nd Academy of Country Music Awards™” on Sunday, April 2 (live 8:00-11:0o PM, ET/delayed PT) on the CBS Television Network, marking its television world premiere. Faith is one of the top-selling and most-awarded female artists of all time with 5 Grammy Awards, 12 Academy of Country Music Awards, 3 Country Music Association Awards, 4 Billboard Music Awards, 4 American Music Awards, and 4 People’s Choice Awards. She has consistently broken chart records with her #1 singles and has had major crossover success with the hits “This Kiss,” “Breathe,” “The Way You Love Me,” “Cry” and “There You’ll Be.” She has had multiple albums top both the Billboard Top 100 and Country charts simultaneously and with only seven original studio albums, has sold more than 30 million albums worldwide. She has had 3 network TV specials that garnered top ratings and has appeared and performed on every major award show, including twice on the prestigious Academy Awards. In 2000, Faith performed the National Anthem to a global audience of over 88.5 million viewers at Super Bowl XXXIV in Atlanta and is only one of three artists ever to perform both “The Star Spangled Banner” and “God Bless America” at Super Bowls. Tim McGraw has sold more than 50 million records and dominated the charts with 43 worldwide #1 singles. He’s won 3 Grammy Awards, 16 Academy of Country Music Awards, 14 Country Music Association Awards, 11 American Music Awards, 3 People’s Choice Awards and numerous other honors. His iconic career achievements include being named the BDS Radio’s Most Played Artist of the Decade for all music genres and having the Most Played Song of the Decade for all music genres with “Something Like That.” He is the most played country artist since his debut in 1992, with two singles spending over 10 weeks at #1 (“Live Like You Were Dying” and “Over and Over”). His recent multi-week number 1 single and video “Humble and Kind,” off his DAMN COUNTRY MUSIC won multiple awards at the CMA Awards, American Music Awards and Grammy Awards. His critically acclaimed acting skills were highlighted in the award-winning movies Friday Night Lights and The Blind Side. Tim is currently appearing in and narrating the smash hit movie The Shack.